While the fecund Reserva Ecologica is located on the northern side at the mouth of the Riachuelo, the southern side is seemingly its opposite. Both, however, are the result of a major industrial city pushing into a silt laden estuary; the two faces of Janus. The south side is known as Dock Sud. It is the main petrochemical port and largest port in Argentina by operated tons. In addition to gas and oil it supports containerized shipping as well as sand mining operations. The port began in 1888 as a swampy, low-lying terminus to the Southern Railway which was British owned and operated until nationalization by Juan Peron in 1948. The port was constructed as a public entity which it remains today- its shipping channels and bulkheads are maintained by the provincial port authority while the storage, unloading, and manufacturing facilities are constructed by the tenant companies. There is pressure on the port to expand in the future, especially its container and petrochemical operations. In addition, sediment dredging and the disposal of contaminated sediment is a significant cost to the port and a major area of concern for the residents in the densely populated surrounding area. Each year the port must dredge approximately 1,100,000 cubic meters to maintain their facilities at the required 10.4 meter depth. Fully one third of this is considered heavily contaminated, coming from the Riachuelo. The other two-thirds (740,000 cubic meters) is dredged from the exterior of the port, mainly the entrance channel (Canal Sud) which connects Dock Sud to the trunk line in the middle of the Rio de la Plata. While the clean sediment can be disposed of at sea, the contaminated sediment dredged from the Riachuelo and interior of the port must now be either treated or confined. The issue is one of murky jurisdictions- the federal constitutional amendment mandates that the environment must be protected, the port is part of the Province of Buenos Aires, and much of the pollution in the port comes from the autonomous district of the city of Buenos Aires. 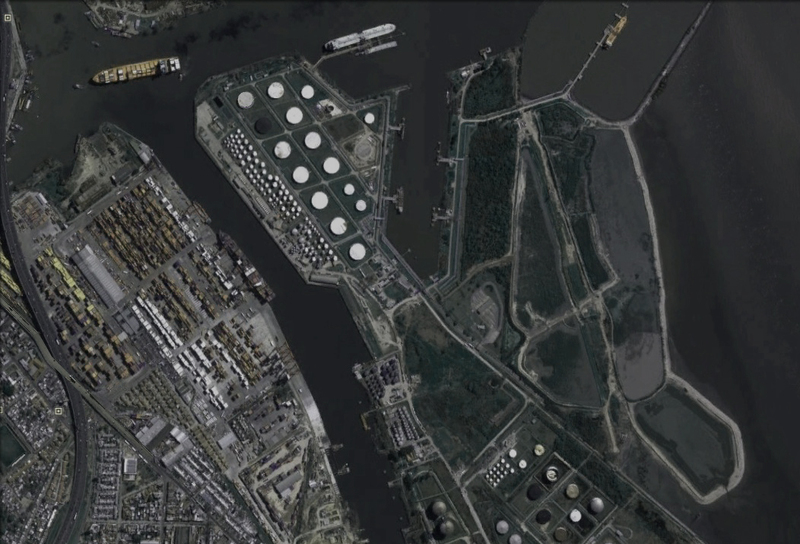 The sediments of the Riachuelo-port complex offer a fascinating and terrible situation. The objective of this project related to the port will be the disposal of contaminated sediments. The Riachuelo and Dock Sud are inextricably linked by geography, hydrology, the shared industrial history, and they share in the ambiguous and contentious jurisdictional morass. This situation can be read through the common link that ties all of these themes together- sediment. Sediment pours down the Riachuelo, 640,000 cubic meters per year, half of which is dropped out in the port, the other half of which continues down out in to the Rio de la Plata. All of it is considered heavily contaminated, affecting the lives of people nearby and the port’s operational costs. 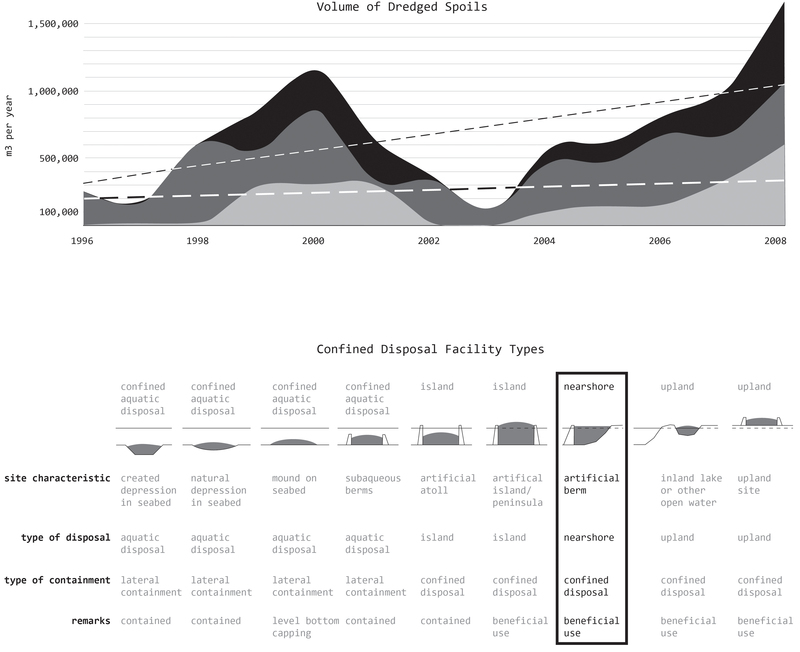 The industries and urban settlements polluting upstream raise the sediment disposal costs of the port considerably. Additionally, the pollutants from the port itself are flushed back in to low-lying neighborhoods during storm events and floods. Given the projected expansion of the port within the next 20 years, deeper channels will be needed. This will in turn require more dredging each year, a fact which projects future dredging of contaminated sediments to increase to 500,000 cubic meters annually. Currently no dredging is done in the Riachuelo until it reaches the port zone that begins at the Exolgan logistics center. This fact is evident in aerial photos and geo-soundings of the Vuelta de Rocha turning basin; it is no longer used and currently holds approximately 16 feet of contaminated sediments. This sediment is then dredged and disposed of in the Yarara disposal facility on the eastern edge of the port next to the Rio de la Plata. The facility is poorly constructed and filling up quickly. It’s protection dike of 3 meters is subject to overtopping and wave battering and needs to be reinforced and safely closed. The 2009 report on stormwater drainage for the Riachuelo basin noted that due to the high levels of contamination in the sediments, which would be dislocated and possibly released by dredging, a 1995 report recommended that no dredging occur. However, this is being reconsidered due to necessities of using the canal for navigation and recreation (p. 134). The cost of the treating the 320,000 cubic meters of contaminated sediments is approximately ten times that of confining it (50 million to 6 million). This cost would increase with additional dredging needed for channel deepening. In addition, it is possible to reuse contaminated sediments as fill material for new port constructions if the disposal facilities are properly constructed. For Tierra Plastica I am proposing a constructed near-shore disposal facility (see diagram above) to be constructed for confinement and use for new port facilities. 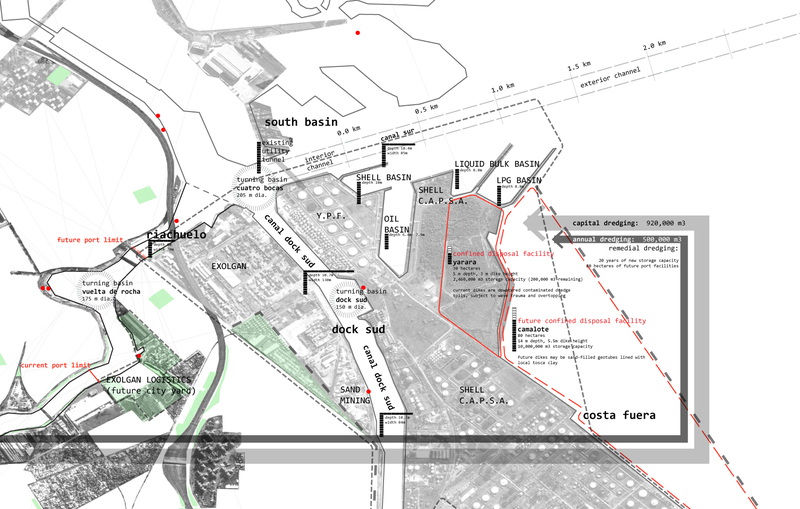 This proposal draws from and adapts the conclusions of the “Sustainable Management of Contaminated Sediment in Puerto Dock Sud” report by Kay Croonen of TU Delft/U of Buenos Aires. This construction, named “Camalote” on the map below, will allow for the Yarara facility to be properly reinforced, protected from storm events, and closed, and for 90 hectares of territory to be reclaimed for port expansion. 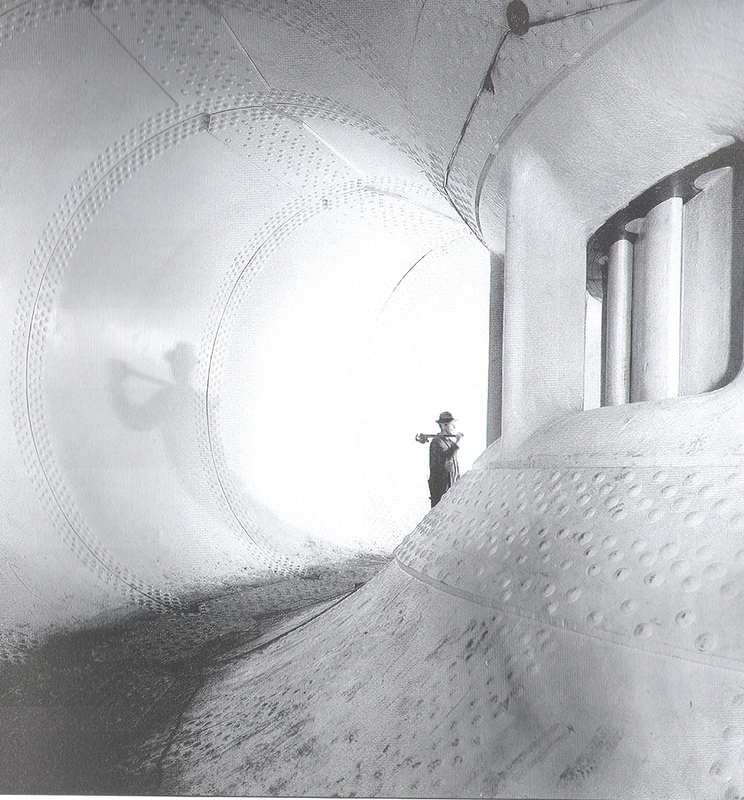 The construction may be created from geotubes filled with mined sand, lined with local “tosca” clay, and reinforced with rip rap of construction and demolition rubble. By providing a place for the contaminated sediments and logistical support in their transport, and allowing ACUMAR to concentrate funds on prevention of further contamination and the installation of sewer and industrial infrastructure, the port will limit the amount of time they need to pay for the disposal of contaminated sediment. The remediation dredging will be carried out by multiple proposed tram dredges (number to be determined) and will continue for 5 years. Further remedial dredging will likely be needed in the future due to the high number of industries and neighborhoods throughout the Riachuelo basin. A system of monitoring will be needed to ensure the sediments are not contaminated beyond acceptable levels- if they can be maintained in a state clean enough to allow future interior port dredge spoils to be disposed of at sea then port operational costs could be reduced by up to 10 million dollars a year. The Yarara site has an estimated capacity of 2,460,000 cubic meters. It was estimated in 2008 to have only 200,000 cubic meters left and is likely now full or close to capacity, even with compaction due to dewatering. The Camalote site will provide an estimated 10,000,000 cubic meters of capacity. This will allow for storage of 1,000,000 cubic meters of dredge spoils from capital dredging in the Riachuelo, and provide capacity for confinement of contaminated spoils for the next twenty years. At that point, institutional controls instigated by municipalities, agencies, and businesses through ACUMAR should be fully operational allowing for source control of pollutants. However, given the dispersed nature, both temporally (spread over 200 years) and spatially (throughout the basin and spanning multiple jurisdictions) of the pollution sources, including residences, businesses, and industry, any future design should prove robust enough to mediate common pollutants. After the contaminated sediment is dredged and confined in the Camalote- or confined in place within the Riachuelo- and the new design depth obtained for the Riachuelo, maintenance dredging will be needed. By confining the contaminated sediments so that they don’t contaminate groundwater or get flushed in to the city with sudestada floodwaters the health of the residents of the surrounding area will be greatly improved. In addition, many plants and animals that currently suffer ill effects from the heavy metals and volatile organic compounds will have more space to grow and establish healthy ecological communities. Regarding the future channel of the Riachuelo itself, the idea of “design depth” and “channel” needs to be rethought, considering that the future use primary uses of the Riachuelo will not be heavy industrial shipping but municipal transit, remediation, recreation, and light industry such as composting. A monitoring system and catchment system must be developed to ensure that future remediation- likely to become necessary as hundreds of years of contaminated sediment make their way downstream- can be undertaken as part of a functioning industrial/recreational ecology within the city. + Where will the sediments be transferred from the tram dredge to the Port Authority? + How long will the remedial dredging take place? 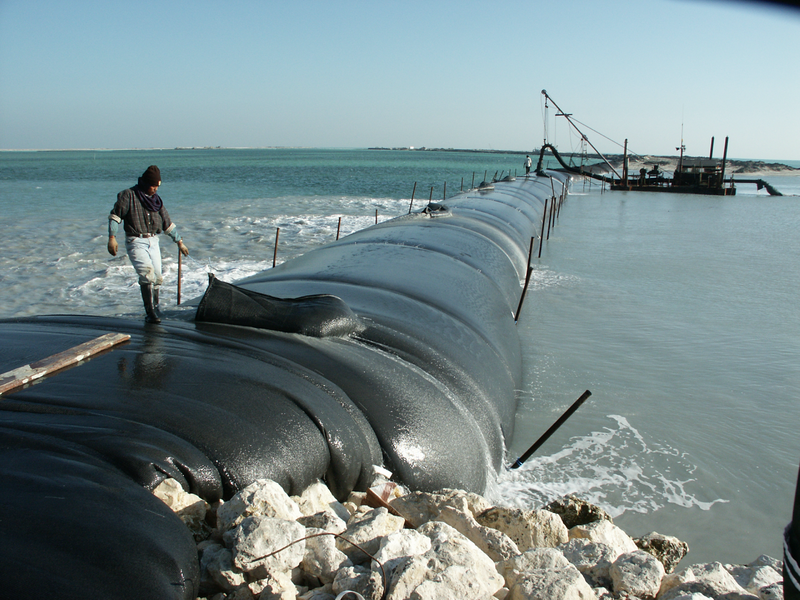 + What kind of ongoing dredging will occur after remedial dredging is finished? + How will the sediment monitoring system function? + How will the sediment catchment system function? Tierra Plastica is understood to be taking place under the purview of ACUMAR, the river basin authority of the Riachuelo. ACUMAR (Autoridad de la CUenca MAtanza Riachuelo) is a decentralized interjurisdictional governmental agency with capital funds. River basin authorities have developed into a relatively common device for dealing with the issues of pollution, economics, and politics in watersheds that span jurisdictional boundaries (as most do). ACUMAR is unique in that it has capital funds to implement its decisions and recommendations thanks to a billion dollar loan from the World Bank. 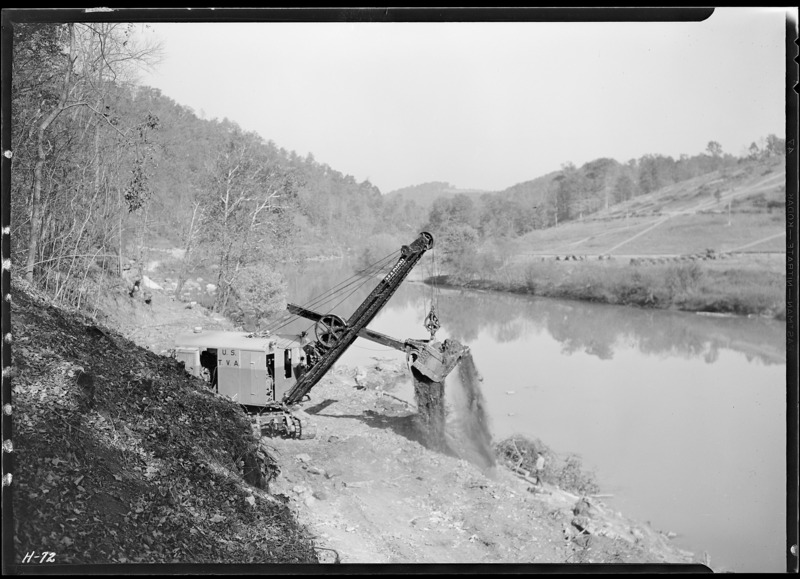 One of the few precedents for this type of organization is the Tennessee Valley Authority which built dams, reforested hillsides, and constructed roads throughout the Tennessee Valley during the New Deal years of the United States (it still maintains a capital budget today, albeit a much less ambitious one). ACUMAR differs from the TVA in that it is not a centralized planning organization accountable to an executive office and built according to the engineering/systems model as detailed by technological historians David Noble and Thomas P. Hughes. Rather, ACUMAR is both part of and made of a network of administrative and technical experts, with its executive council consisting of local, state, and federal officials who work closely with the heads of state agencies such as Environmental Agency and Education Agency. The organization itself is ultimately responsible to a federal court in nearby Quilmes, province of Buenos Aires, Argentina and works in concert with various local and municipal groups, non-governmental organizations, and municipal governments. The nation of Argentina is responsible to the World Bank for showing progress according to the approved environmental remediation plan that was used to secure the loan. ACUMAR is responsible for executing the Integrated Plan for Environmental Remediation (PISA, by its Spanish Acronym), which it does by operating along four lines of action: institutional, remedation, industry, planning and infrastructure. There are certain aspects of both the plan and the institutional structure that are instructive and will ultimately be internalized as assumed parameters for the project. 2. The system of levees and bulkheads that protect the urbanized area from floodwaters needs to be enlarged and reinforced, especially to withstand the sudestada storm events that occur several times per year and when combined with rain upstream and high tide lead to widespread flooding in the basin. 3. 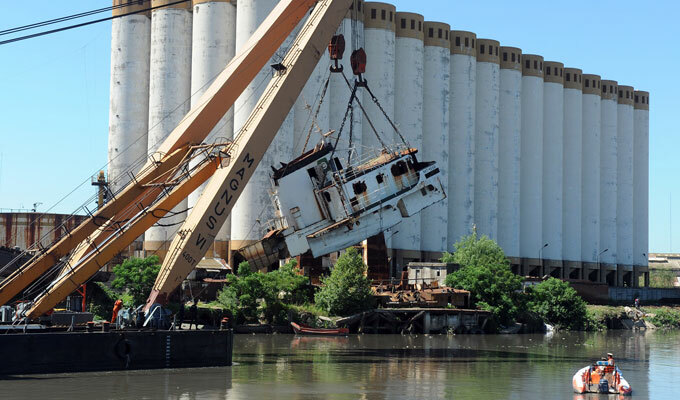 As of April 2011 57 sunken or inoperable boats have been extracted from the river between the Pueyrredon Bridge and the Avellaneda Bridge. In addition over 70 vehicles have been excavated from the canal bottom and there are no more in this zone. 4. The Camino de Sirga (35 meter wide towpath) has been cleared of obstruction and structures in a first phase up to Dean Funes Street, with a second phase underway to clear up to Pueyrredon Bridge. It is being cleared and designated as public space. Sections further upstream are also being cleared with the final intent to unify a 35 meter wide swath on either side of the canal for public access. 5. Dredging is being considered by ACUMAR in coordination with Port Authority at Dock Sud. There are still some working port operations near the mouth of the canal and the section from the Vuelta de Rocha to the Canal Sur is still maintained and dredged by the Port Authority. Any material that is dredged from the RIachuelo would have to be treated as contaminated and a treatment and disposal site would be needed. 6. Two non-governmental organizations are currently advocating for the dredging of the canal; one in the interest of cleaning the watercourse, the other in the interest of making it navigable for a system of municipal transit boats. + The physical limits of the site are defined as the outer edge of the Camino de Sirga on either side of the canal and all the space between, beginning at the new Avellaneda Bridge and going to the Pueyrredon Bridge, as this is the section where ACUMAR has worked to clear the Camino de Sirga of obstructions. From there to the Victorino de la Plaza Bridge the project scope will be limited solely to the watercourse of the canal, as this area is desired for navigation but it is unknown when the Camino de Sirga may be cleared here. + Any design must include a strategy for dealing with the floodwaters of the Rio de la Plata, especially those occurring due to sudestada weather events. + The design should include a system that allows for constant monitoring of water level, sediment elevations, and enable the intermittent sampling of water and sediment chemistry. + Retention and filtration of stormwater along the banks of the canal in the urbanized area is necessary to reduce flooding in the basin. + Any design needs to provide a system for the filtration of contaminants and objects. Major infrastructural and institutional investments by ACUMAR will help alleviate the situation. However, given the heavily urbanized context the design of the canal should not suppose that all objects and contaminants will be removed. 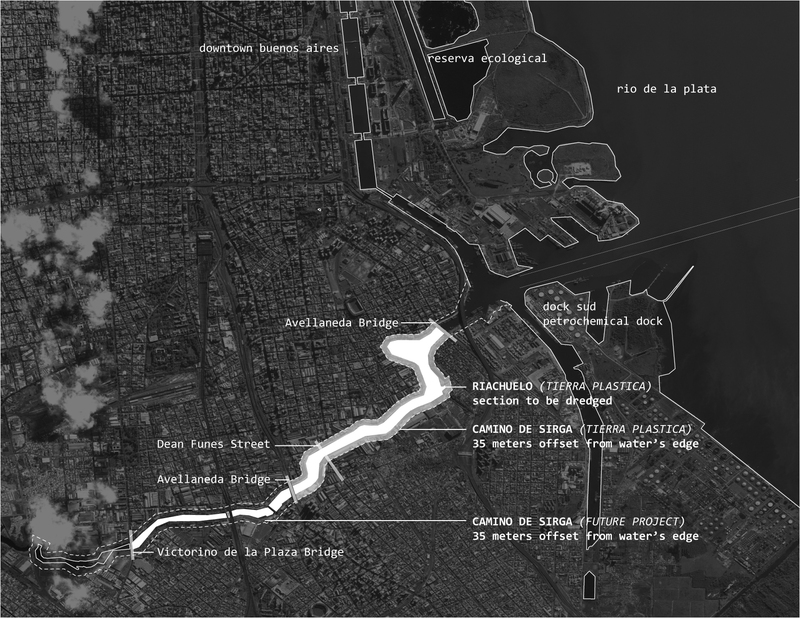 + For the purposes of this thesis project it will be assumed that ACUMAR has decided in favor of some type of dredging for the Riachuelo Canal. A treatment and containment site is needed and should be coordinated with the Dock Sud Port at the mouth of the canal. Creating a canal that is navigable for both recreation and municipal-scale transportation is desired by community groups and being considered by ACUMAR. For Tierra Plastica it will be considered a necessary and ongoing process.